You may have noticed some changes to the site (but hopefully not changes to your podcast feed.) That is because Running Inside Out Podcast is now hosted on a whole new platform. There may be a few initial bumps along the way here, but my hope is that this new platform will remove some friction associated with publishing episodes as well as provide some spicy new integrations and advancements. 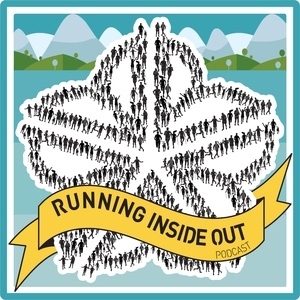 For instance, you may have noticed that Running Inside Out Podcast is now on Spotify! and that each episode has a new page look with a (non ugly) built-in player! Also, your reading this on a BLOG. Wonder how much I'll write here. I don't write much more because I obsess over writing well and it takes me forever. But I'm going to try and maybe not take it so seriously. Lastly, but not really lastly because there are many more nice gadgets to share with you as I build them out, you can go to the Guests page and see all the guests... this is similar to the previous platform, but you can see all the episodes in which that guest appeared. This used to take so much for me to create and maintain, but now it comes almost for free. Oh... some things may end up going away, like the Store and the email list. And other pages may take me time to build, like Local Awesomeness. Other things, I will need to figure out how to integrate, like the Strava Group Widget. I hope to bring some of these back, but they will probably be in some different format/form. I'd love to hear your thoughts on the new platform. Things you like, things you wish it had, things you wish were different. Please feel free to share them through either the new Contact form or through email.